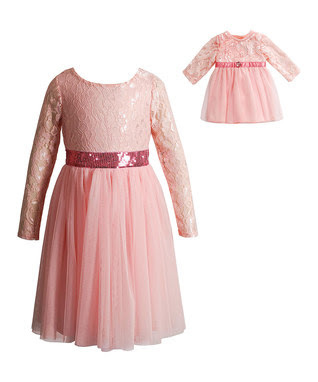 Savvy Spending: Zulily: Huge savings on Dollie & Me Outfits, plus 30% off and free shipping! 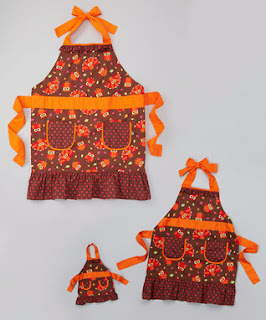 Zulily: Huge savings on Dollie & Me Outfits, plus 30% off and free shipping! Wow! Zulily is featuring a Dollie & Me sale today with prices up to 60% off!! There are some great deals in this sale when you consider that you're getting a doll outfit and a complete outfit for your child- and the clothes are beautiful! Prices start at just $8.99 with free shipping! If you aren't signed up for Zulily sales, GO HERE to join for free! Plus, Visa Checkout users can save an extra 30% off at checkout AND these items SHIP FREE in time for Christmas! Check out this beautiful dress-- would make a great Christmas dress! It's only $16.79 shipped after using Visa Checkout! They also have a Mommy, Child, and Dollie Apron set for only $9.79 after using Visa Checkout! Hurry, sizes will sell out!